MAKE YOUR HOTEL ADVERTISING WORKS SMARTER. Whether you would like us to take care of your exiting campaigns or you want us to create new campaigns for your hotel or properties, we have the expertise and skills to optimise your return on investment from PPC Advertising and drive qualified traffic to your hotel website at the lowest cost possible! Re-engage with highly targeted travellers that have visited your website and expressed an interest in your hotel. Our experienced consultants will work with you to devise an effective ad campaign that finds, engages and returns the targeted travels that are most likely to book. Facebook paid advertising is a simple, cost-effective, and efficient marketing option for Hotels especially those with limited time and marketing budgets. When it comes time for your hotel to do a big promotional campaign or sales push, Boosted Posts are not enough. Instead, it’s far better to create an actual ad campaign with a specific, fine-tuned target audience. If you’re not getting the most out of your Facebook advertising campaign, or you don’t have one at all and would like more information about how Facebook ads can benefit your hotel, then get in touch today, we can help. For hoteliers, metasearch marketing is a huge revenue generator and a way to shift share from the OTAs to the property website. Each booking coming from Metasearch site is one less booking via the OTAs. Take advantage of this new way to level the playing field with OTAs throughout the quickly-growing metasearch eco-system. Diamonds Search Marketing can help you get started with metasearch marketing on: TripAdvisor Meta Search kayak Trivago Skyscanners wego. For hoteliers, metasearch marketing is a huge revenue generator and a way to shift share from the OTAs to the property website. Each booking coming from Metasearch site is one less booking via the OTAs. Take advantage of this new way to level the playing field with OTAs throughout the quickly-growing metasearch eco-system. 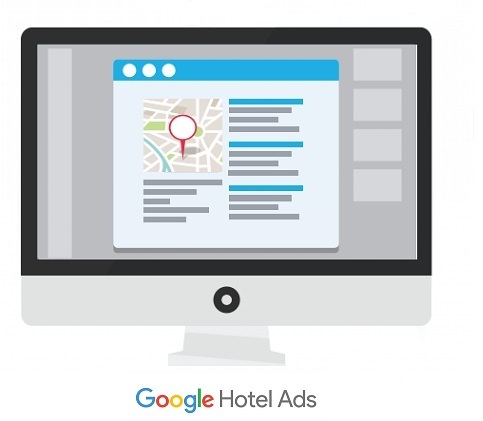 Diamonds Search Marketing can help you get started Google Hotel Ads.